You can call from your driveway. 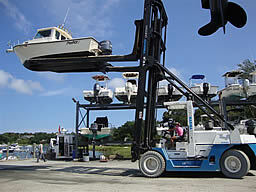 Your boat is in the water ready to go when you arrive. No need to paint the bottom of your boat ever again.